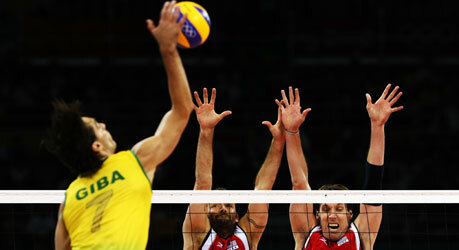 We were delighted to receive notification today that we have been allocated 10 free Olympic tickets for the Volleyball event at Earls Court from 8.00pm on 4th August 2012. We will also be receiving an allocation of tickets for adults to accompany the children. Only pupils who are aged 10 or over on the 31st August 2012 are eligible to use the tickets. The tickets also in include a Games Travelcard. The Games Travelcard will entitle the child to travel within zones 1-9 on the public transport network throughout the day of the event. In order to allocate the tickets fairly we have decided to ask all children of eligible age (Year 5 and Year 6) to enter a competition to be voted on by the whole school community. Each child in Year 5 and Year 6 will be asked to make a creative piece of work that shows us how they embody the Olympic and Paralympic values. This can be a piece of art, a sculpture, a video, a spoken piece, a song, a piece of writing or in any way a child sees fit. All submissions will be put onto the school blog and everyone will be asked to vote for their favourite. The 10 pupils with the most votes will win the tickets.